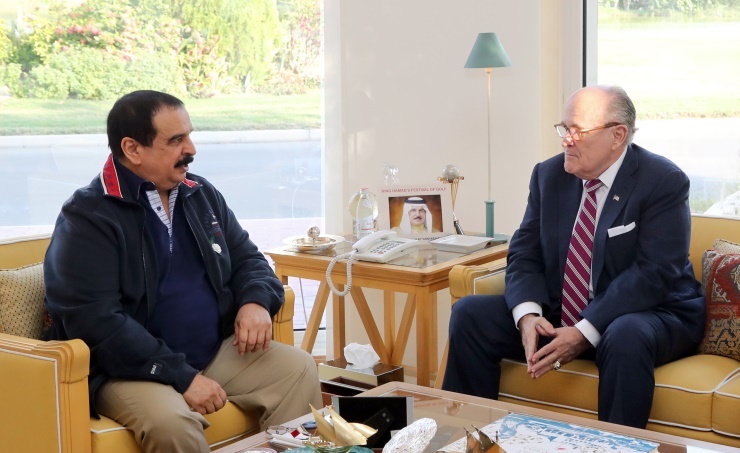 Manama, Dec. 11 (BNA): His Majesty King Hamad bin Isa Al Khalifa today at the Safriya Palace received former mayor of New York City, Rudy Giuliani, leading a high-level delegation. HM the King praised the longstanding Bahraini-US relations, noting keenness of the two countries to constantly develop them. Topics of joint interests were also discussed.